The story opens in 1998, with Varg Veum, a private investigator from Bergen, sitting by the bedside of his long-term girlfriend Karin, whose life hangs in the balance due to the mistakes Veum has made in a recent investigation. The novel then backtracks through this investigation, where Veum has been called upon to investigate the disappearance of Mons Maeland, a wind-farm inspector, and whose wife, Raenvig is a friend of Karin’s. Maeland’s involvement in the contentious issue of wind-power would seem to be the primary reason for his disappearance, and later murder, but with the suspicious circumstances of his previous wife’s alleged suicide, and his complicated familial relationships, Veum has his work cut out to uncover a killer, and at huge personal cost. Although, I have not read widely in this series, I have read enough to appreciate the strength of Staalesen’s characterisation in relation to Veum, and how he is unerringly the lynchpin to the strength of this series. 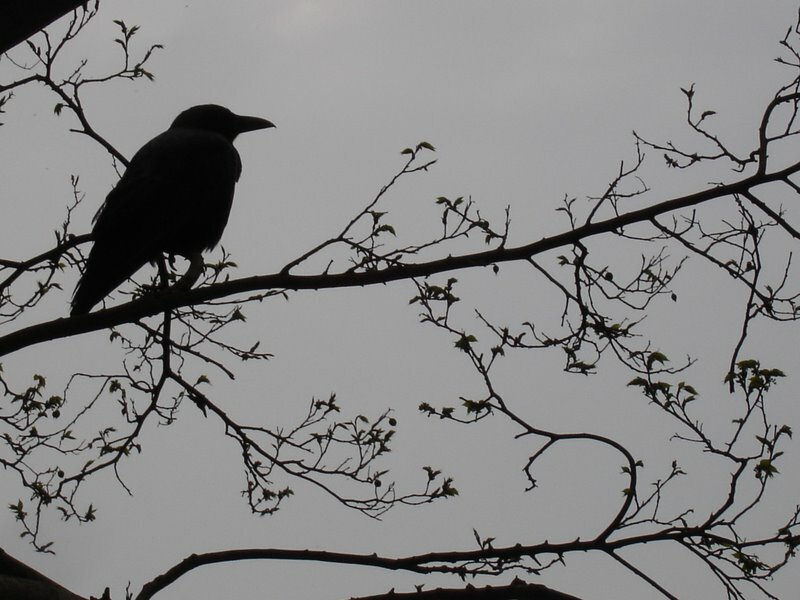 With his cynical and witty asides, an unflinching attitude to those who would thwart his investigations, and his dogged moral determination, Veum is a hugely likeable and vivid character. The comparisons to Chandler’s Marlowe are not amiss, as Veum navigates his way through different classes of people, and stratas of society with consumate ease, with his easy charm and utter professionalism, but, most importantly, with the all too natural human failings when his investigations strike too close to home. We Shall Inherit The Wind demonstrates this admirably, with the fall-out from this case impacting so seriously on his personal life, and the consequences to Karin. I love the characterisation of their less than conventional relationship and the inherent warmth and respect that exists between them, so much so that the incredibly understated but powerfully emotive conclusion to this case was hugely moving, due to Karin’s fight between life and death. As Veum is tasked with investigating the less familiar world of natural energy, in the form of wind power, it gives Staalesen ample opportunity to take his readers into somewhat unfamiliar terrain, both with the contentious issues arising from this supposedly harmless energy source, and into the community that would be so deeply affected by its implementation. Consequently, Veum finds himself uprooted from Bergen to the small island community of Brennoy, where environmental campaigners are going head to head with the orchestrators of the wind farms. Through the conduit of fiction, Staalesen provides a balanced view of the pros and cons of man’s continual seeking of control of the natural world to provide fuel for our existence, and it was interesting to see the contrasting viewpoints. Likewise, I thought that Staalesen captured perfectly the petty jealousies and chequered histories of the island’s inhabitants, as their links with the murdered man gradually came to light, against the beautifully realised backdrop of this wild and largely unspoilt island terrain. If you like Scandinavian fiction, and have not encountered Staalesen before, I cannot recommend him highly enough. All the familiar tropes of the genre are in evidence here, with the close attention to characterisation, location, and the way that Nordic writers put current social issues at the front and centre of their crime narratives. 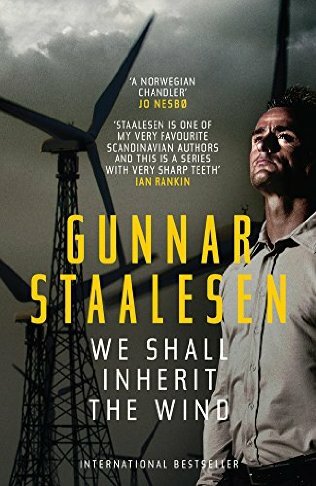 Held strongly together by the character of the marvellous Varg Veum himself, I am delighted to see the return of Staalesen. Satisfaction guaranteed. 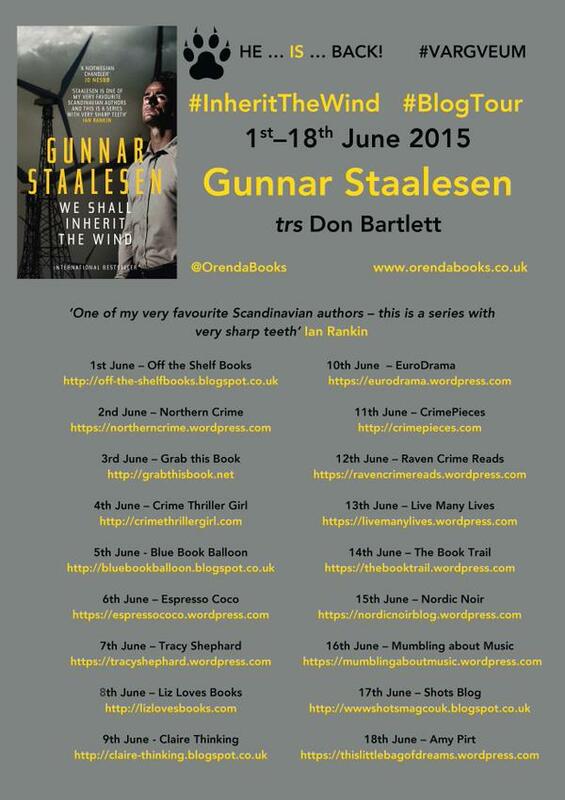 One of the fathers of Nordic Noir, Gunnar Staalesen was born in Bergen, Norway in 1947. He made his debut at the age of 22 with Seasons of Innocence and in 1977 he published the first book in the Varg Veum series. He is the author of over 20 titles, which have been published in 24 countries and sold over four million copies. Twelve film adaptations of his Varg Veum crime novels have appeared since 2007, starring the popular Norwegian actor Trond Espen Seim. Staalesen, who has won three Golden Pistols (including the Prize of Honour), lives in Bergen with his wife. The next instalments in the Varg Veum series – Where Roses Never Die and No One Is So Safe in Danger – will be published by Orenda Books in 2016 and 2017.